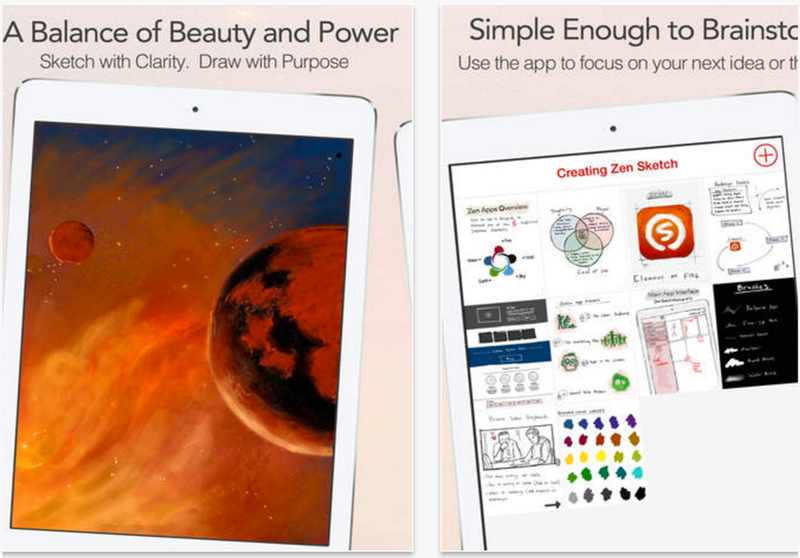 Zen Sketch is a great iPad app we have previously featured in several posts here in EdTech and mLearning. Today we thought to revisit it because it is free and only for a limited period of time. Zen Sketch combines two powerful functionalities into a single intuitive platform: drawing and sketching. 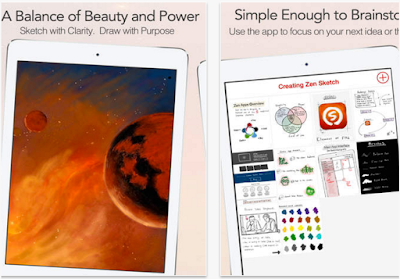 If you like doodling or sketching your notes, you will definitely love Zen Sketch. You can use Zen Sketch to brainstorm ideas and thoughts in a distraction-free environment using an intuitive interface. You can handwrite your ideas, add beautiful visuals and drawings, create shapes and figures and save your notes just the way you would do in a regular note-taking app such as Evernote. Zen Sketch also allows you to export your notes out of the app in the form of image or PDF or share them via email or through social media platforms. Additionally, Zen Sketch is very simple and easy to use and has no learning curve. Once installed, you can straightaway start drawing and sketching your notes. Give it a try and see if you like it.